TEL AVIV, Israel, March 26, 2019 /PRNewswire/ -- Alpha Tau Medical, developer of the breakthrough alpha radiation cancer therapy, Alpha DaRT, announced today that Mr. Raphi Levy will be joining Alpha Tau's management team as Chief Financial Officer. Mr. Levy will focus primarily on driving business growth, leveraging his unique experience and long-standing international relationships, to support strategic private and public fundraising, advance company strategy and expand collaborations with leading enterprises worldwide. 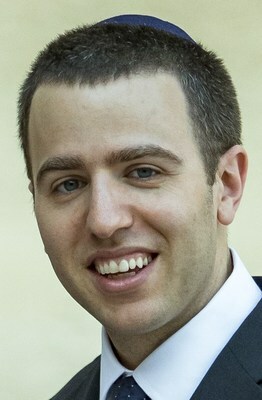 Mr. Levy commented, "I am thrilled to join Alpha Tau and take part in a revolutionary new therapy for cancer patients. I look forward to being part of this outstanding team and to helping drive the company's strategy and commercial relationships in the future." "We are proud to attract world-class professionals to join the Alpha Tau team," added Uzi Sofer, CEO of Alpha Tau Medical. "Raphi's significant experience and in-depth sector knowledge will enable us to rapidly expand our operations globally. We are truly delighed to welcome Raphi to our team and believe that he will help us move forward even faster in making our cancer treatment available to millions of patients worldwide."